Booking For Students provides comfortable accommodation for students in Madrid. All of our properties are located near transportation system networks (Metro, Bus, Cercanías Renfe, etc.) to make it easy for students to travel around the city ensuring they have the best experience possible. The students of our Partner Universities enjoy the opportunity of receiving discounts. Universidad Pontificia de Comillas is a private university in Madrid, Spain. It is a Catholic university run by the Society of Jesus. Comillas is the only Spanish university that appears in the Times Higher Education 2013 ranking. Universidad Camilo José Cela was established in 2000 and it is part of the Educational Institution SEK -Saint Stanislaus Kostka- founded in 1892. La Universidad Complutense de Madrid is a public research university located in Madrid, and one of the oldest universities in the world. The university enrolls over 86,000 students, and consistently ranks as one of the top universities in Spain. Universidad Carlos III de Madrid is a public university in the Community of Madrid, Spain. UC3M is included in the QS Top 50 under 50 ranking, which spotlights the 50 top universities in the world established within the last 50 years. Universidad Rey Juan Carlos de Madrid a top Spanish public research university located in the Southern area of the Community of Madrid, with four campuses at Móstoles, Alcorcón, Vicálvaro and Fuenlabrada. It is named after king Juan Carlos I of Spain. Universidad Alfonso X el Sabio (UAX) is a private university located in the Community of Madrid, Spain. It is owned by the company Private University of Madrid, S.A.
Universidad de Nebrija is a private university based in Madrid (Spain) and several campuses in the Community of Madrid: La Berzosa, Dehesa de la Villa and the new main building in Princesa. Its name pays tribute to Antonio de Nebrija. 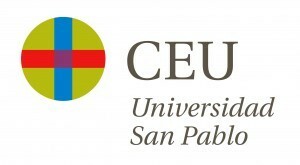 Universidad CEU San Pablo is a private, Catholic university established more than 75 years ago in Madrid and is today one of Spain's most prestigious academic institutions consistently ranked among the top 5 private universities. Universidad de Alcalá is a public university located in Alcalá de Henares, a city 35 km northeast of Madrid in Spain and also the third-largest city of the region. U-TAD private university for training in the production and management of digital content. Address: Edificio Madrid, Complejo Europa Empresarial, Calle Playa de Liencres, 2 bis, 28290 Las Rozas, Madrid. Universidad Autónoma de Madrid is commonly known by its Spanish initials UAM or as "la Autónoma". UAM is a Spanish public university established in 1968. Universidad Politécnica de Madrid was founded in 1971 as the result of merging different Technical Schools of Engineering and Architecture, originating mainly in the 18th century. Over 35,000 students attend classes during the year. The University of Florida is an American public land-grant, sea-grant, and space-grant research university located on a 2,000-acre campus in Gainesville, Florida. Middlebury College is a private liberal arts college located in Middlebury, Vermont. Founded in 1800, it is one of the oldest liberal arts colleges in the United States. Saint Louis University is a private research university with campuses in St. Louis, Missouri, United States and Madrid, Spain. Founded in 1818 by the Most Reverend Louis Guillaume Valentin Dubourg, SLU is the oldest university west of the Mississippi River and the second-oldest Jesuit university in the nation. It is one of 28 member institutions of the Association of Jesuit Colleges and Universities. CISabroad offers affordable study abroad programs, international internships and summer study abroad in Europe, Australia, New Zealand, Latin America, Asia etc.. 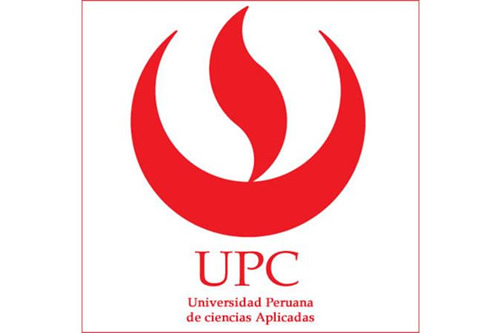 The Universidad Peruana de Ciencias Aplicadas is a private university in Lima, Perú, founded on January 5, 1994. Currently, it offers 39 career programs categorized in 12 faculties. The University of Maryland is a public research university in College Park, Maryland. Founded in 1856, UMD is the flagship institution of the University System of Maryland. Address: College Park, Prince George, cerca de Washington D. C.
EAE Business School is a business school, located in Barcelona and Madrid, Spain. EAE stands for Escuela de Administración de Empresas. IE Business School is a graduate school located in Madrid, Spain. 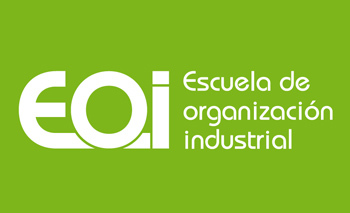 It was founded in 1973 under the name Instituto de Empresa and since 2009 is part of IE University. EOI Business School is a public institution from the Ministry of Industry, Energy and Tourism of Spain offering Executive Education and Postgraduated Programmes in Business Management and Environmental Sustainability. Escuela Europea de Negocios is in Madrid develop different programs for MBA graduate, aimed at recent graduates and MBA Executive for professionals and managers. CUNEF is a university affiliated to Universidad Complutense de Madrid and it is specialized in Business Administration, Economics, Law and Finance. IEBS is the Business School of Innovation and Entrepreneurship, which bases its training on four key areas: Innovation, Entrepreneurship, Ethics and Sustainability. CESMA Business School is Specialize in courses and professional seminars and all are in a wide range of areas of expertise: business administration, marketing, communication, finance and control. ESADE is an international academic institution with over fifty years of history. The main asset of this business school are people: faculty members and professionals who nurture reflection, dialogue, projects and initiatives to ensure excellent education, pioneering research and a valuable contribution to social debate and transformation. CEF is the Center for Financial Studies, was founded in 1977 in the city of Madrid, offers Masters and courses.